The discovery of the only recorded probable sighting of the supernova of 1667, one of the more unusual celestial events in the span of human history, may resolve an enduring mystery in the history of Astronomy, SN 1667?. 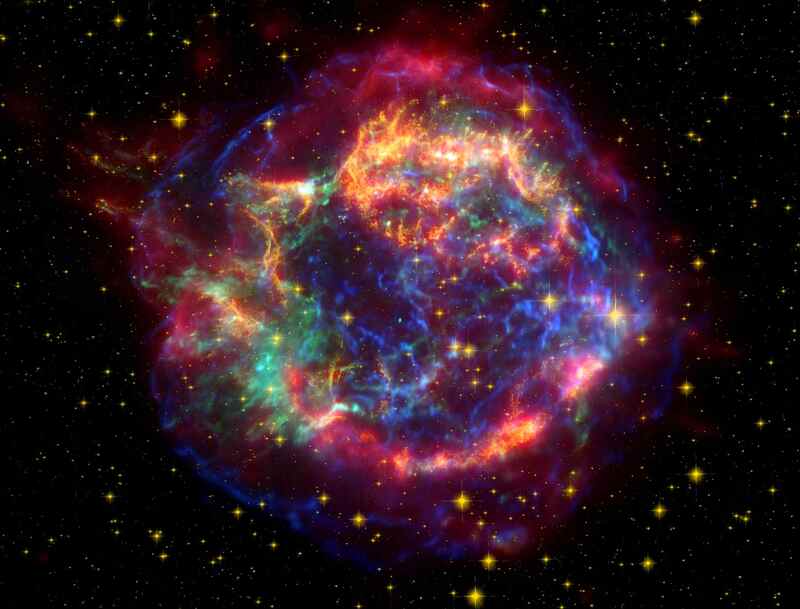 According to scientific measurements, the light from the supernova of Cassiopeia A would have reached Earth in 1667. That is why the supernova is sometimes designated as SN 1667? or SN 1667. Cassiopeia A is the second youngest supernova known to have exploded in our galaxy, the Milky Way. Other Supernovae from the galaxy were observed in 1572 (Tycho’s Supernova) and 1604 (Kepler’s Supernova), but since then only supernovae from outside of our galaxy have been observed with any certainty, e.g. SN 1987A. Recently, the remnants of a supernova in the heart of our galaxy have been observed. The light from G1.9+0.3 would have reached Earth in c.1868, but it was obscured by the galactic centre. Remarkably, the appearance of the Cassiopeia A supernova is said not to have been recorded in the historical or astronomical sources of the period, even though it was visible on Earth and took place at a time when astronomy was flourishing. Because SN 1667? was not recorded in the time frame that it took place, other possible “new stars” have been suggested to be the 1667 event. The first possible recorded sighting of the remnants of the supernova came thirteen years later, when John Flamsteed identified a new star, 3 Cassiopeiae, in August 1680. As a result, SN 1667? is sometimes known as SN 1680?. However, others believe that Flamsteed made a mistake, as his new star does not quite tally with the location of SN 1667?. It has also been suggested that the ‘noon day star’ that allegedly heralded the birth of Charles II in 1630 was the 1667 event. Given the evidence that the event almost certainly took place in 1667, or c.1667, neither the 1680, nor 1630 dates are particularly satisfying. The apparent failure of the historical sources to report a sighting of the supernova may have influenced theories that have been advanced that the light from SN 1667? was cloaked by the star ejecting its outer layers before it exploded. Now, the new evidence discussed in this post indicates that the light from the initial explosion of SN 1667? was observed in Scotland. The light from the supernova had taken about 11,000 years to reach Earth and at 2pm on a summer afternoon in 1667 it was spotted in Edinburgh. The first record of the supernova is found in Robert Law’s Memorialls: or, The Memorable Things that Fell Our in My Time in the Island of Brittain. Law, the former presbyterian minister of Easter Kilpatrick parish, mainly recorded the passing political events of the Late Restoration period, but he was also a keen observer of natural and celestial phenomena. Among the many things he recorded were the great comets of 1680 and 1682, a tornado on the River Clyde and the first elephant in Scotland. He was also interested in providential signs and warnings, strange visions and apparitions, as one would expect of a seventeenth-century minister. In his Memorialls, he seems to have viewed all of those phenomena as part of the science of God’s world in which both comets and visions were potentially connected to “real-world” events. Although modern astronomers may be sceptical of his interpretation of some of the events that he discussed, it was his interest in unusual events that led him to record SN 1667?. Law probably wrote his Memorialls in the years up to 1684, as the manuscript abruptly ends in the April of that year. 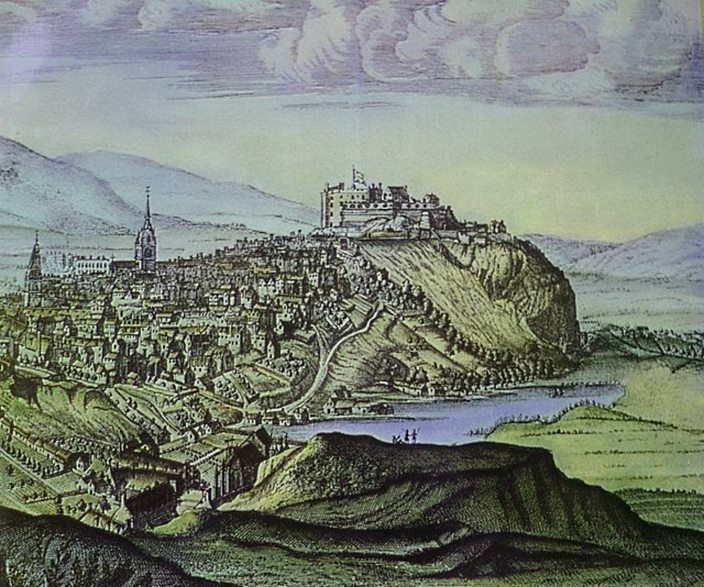 It is clear that the star observed in the summer 1667 was very bright, as it appeared at two in the afternoon when the Sun was ‘shining clear at Edinburgh’. How long it remained bright enough to be seen from Earth is not clear, as Law does not give any further details. Law did not record the event in his entries for 1667, but he clearly recalled specific details about that earlier event when he wrote about the appearance of the daytime star of 1676. The second, 1676, event came from reports on an illegal field preaching in Stirlingshire. Whether the new daytime star was a vision obtained in ecstatic prayer or a real astronomical event is not clear. A second report that he wrote about an event in the same parish in 1680 has a similar ambiguity over the nature of what was witnessed. The people at the field preaching may have seen a star in the sky at midday in 1676, or they may not. What is clear is that Law was not present at the field preaching in 1676. However, when Law wrote of the daytime star of 1676, he connected it to ‘the lyke’ star that had been seen in 1667. Law’s placement of the new daytime star of 1667 in Edinburgh is a crucial piece of evidence. It is almost certain that the reports of it did not come from a field preaching. Edinburgh, Scotland’s largest burgh, was not a location where illegal field preachings took place. As the centre of the Scottish state, it was an extremely hostile environment for them. They were also very rare at that time. Less than a year earlier, the Presbyterians that held them were crushed in the Pentland Rising. It appears that Law’s daytime star of 1667 was a genuine event witnessed in Edinburgh, rather than the result of a Presbyterian vision. “According to a document reported from Tanabu, Shimokita Peninsula, approximately 150km south of the Tarumae Volcano, “After 8 o’ clock in the evening of 23rd September, several explosive acoustic wave have been heard and eruption clouds have been observed intermittently as surrounding area has become hazy by the erupting ash from 24th to 26th of September” (Furukawa et al., 1997). It is not clear if the transcription of the Tarumae eruption was recorded either in the Julian, or Gregorian, Calendar, the latter was 10 days later in the 1680s. It is also not clear why the Chandra account of the ice core record places the nitrate event “one month” after the eruption, but we can presume that it was at some point soon after that eruption. In Scotland there is often an “Indian Summer” at the beginning of October, that is quickly followed by cold and rain that feels like the summer is completely over and we have moved into Autumn/Fall. What the ice core evidence suggests is that SN1667 took place soon after the Tarumae eruption, probably in early October. If the Reverend Law was correct that a star appeared at 2pm on a Summer’s day in Edinburgh, then it may have been in October, which is Autumn, or the end of the summer in Scotland. Historians are probably more at ease with the nature of Law’s Memorialls as a source than astronomers are. It may not meet exacting scientific standards, but its record of a bright star appearing at 2pm on a sunny, summer afternoon in Edinburgh in 1667 is the only historical source that corroborates the scientific evidence for the appearance of the supernova SN 1667?. ~ by drmarkjardine on July 29, 2015. Not sure if that’s conclusive, maybe the 1667 event referred to a fireball. (Cas A) supernova remnant recorded in the Polar Regions? are certainly intriguing – even compelling.